What's your favourite Legend? The one scored by master composer Jerry Goldsmith (The Omen, Gremlins) or the alternate version synth-ambiance affixed to the Ridley Scott film by Tangerine Dream? If it's the former, then you're in for a treat, as it's been updated for a two-disc vinyl reissue. The soundtrack lands October 16 through Silva Screen. While an LP edition of Goldsmith's work had arrived around the film's initial release in 1986, this updated double LP is an expanded experience featuring 14 pieces of music from Goldsmith. While this is the first time the full score has popped up on vinyl, separate CD releases in 1992 and 2011 contained the cuts. 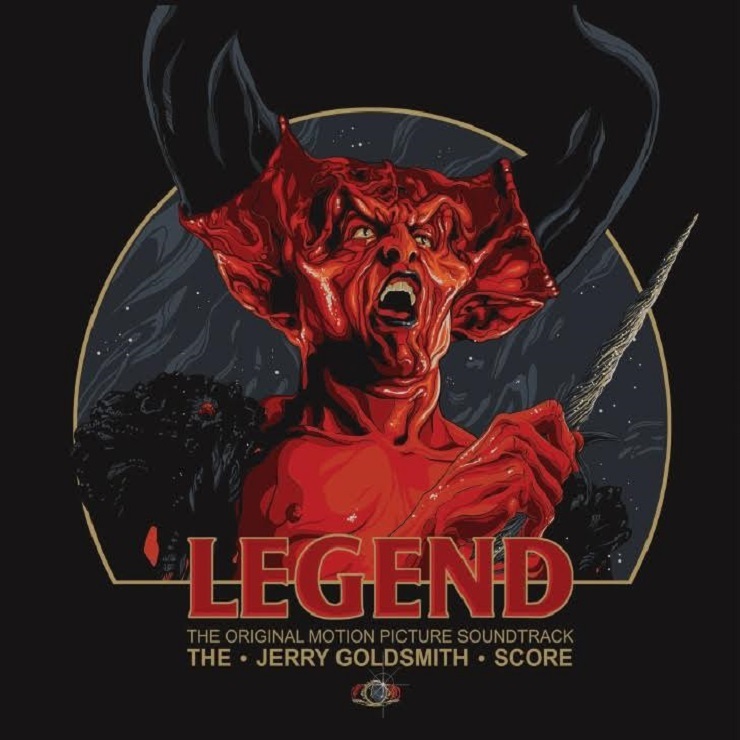 The story behind the score to Legend is an interesting one, with the late Goldsmith having initially been tapped by Scott to produce new music to support the fantasy film, which featured Tom Cruise, plenty of elves and goblins, a dying unicorn and Tim Curry in the role of the devilish Darkness. As the story goes, Goldsmith's score did not test well with North American audiences, so producers opted to fit the stateside theatrical release with an alternate set of sounds from Tangerine Dream. Goldsmith's work was preserved in the European theatrical release and later reinstated for the 2002 director's cut. Scott is said to have preferred Goldsmith's score in the first place. You'll find the special edition's super horny artwork, crafted by artist Vance Kelly, up above.